For me, it doesn't get much better than to cuddle up with my hubby under a warm, comfy blanket and snack on some delicious chocolate! You can be celebrating Valentine's Day just this way thanks to Northwest and Justin's! Justin's has the most amazing ORGANIC Peanut Butter Cups and they are seriously addicting, sweet and amazing! And what's great is that they are available in BIG and bite size cups - perfect for whatever mood you are in! Transform peanut butter cookies into White Chocolate Peanut Butter Cup Cookies, perfect for a party of 20 or a quiet dinner for two. Shape these into a heart and you have created an adorable and tasty dessert for the holiday. These really are essential to give to any chocolate lover this Valentine's Day! And for the snuggling part of the night, look no further than the super comfy, super fun blankets from Northwest! The Northwest, known for making the best blankets in the game, has the perfect gift for everyone on your Valentine's Day list - whether child or adult. 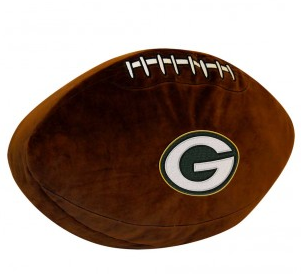 Whether you are looking for a NFL Neck Pillow for the on-the-go sports fanatic in your life or a Marvel throw for the comic enthusiast, The Northwest has got you covered. These high-quality products are truly the gift that keeps on giving! They have a great selection of blankets, pillows and even bedding from all types of sports team to animated characters from Disney, Marvel and Dr. Seuss! They are all so fun and so comfy - I could look through their website all day picking out gifts for all the people I know! There really is something for everyone! You can purchase Justin's products at your local retailer. You can purchase Northwest products from the Northwest website.